Mindfulness is developed by patiently watching the thoughts and emotions that arise in the mind while remaining focused on a simple point of attention such as the breath. Meditation traditions from around the world have used the breath as a primary focus of attention because the body and mind can be brought into harmony by the simple rhythmic breathing induced in a relaxed, meditative state. Gradually the meditator develops that part of the mind which is pure witness-ship or consciousness with no sense of attachment to or ownership of the thoughts and emotions which flow through them. Moving into a state of profound stillness the meditator realises that their limited sense of self, which appears to separate them from unity with all other sentient, conscious entities – is an illusion. They are in fact connected. There is a larger unified consciousness which permeates all things, in all times and in all places. It is this unified field of consciousness from which all creation is emerging, being sustained and to which it ultimately returns. Different traditions refer to this notion of transpersonal consciousness in different ways: emptiness, that-ness, the Way, Godhead, Parama Purusa (supreme consciousness), the cosmic mother or the cosmic entity (Brahma).What ever terms one uses, they of course fail to describe the profound experience of being in state of intimate connection with that consciousness. To achieve it is to be permanently altered; to know what is relative and what is absolute, and to have a strong spiritual centre from which to experience the unfolding dramas of the world around us. The yogic tradition brings further refinements to the practice of meditation by utilising the nature of the mind. Mind is constantly flowing and changing. It also takes the form of that upon which it is focused. By using a mantra, or internal sound vibration, which refers to the cosmic entity, (I am that, Beloved, etc.) the intuitional capacity of the mind is harnessed and the meditator more easily experiences subtler states of connection with cosmic mind. In the yogic tradition, some meditation techniques are referred to as “intuitional practice” because they harness the power of visualisation and subtle intuitive thought to transform the mind into more expansive states. The yogic tradition also employs a detailed understanding of the subtle energy body, commonly referred to as the chakras; (the subtle energy centres located along the spinal column). The chakras control the natural inclinations of human expression and integrate physical existence with subtler layers of the mind. By using the higher chakras as focal points during meditation the absorbtion into transpersonal states can also be precipitated. 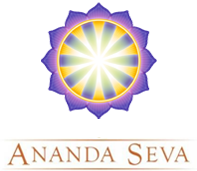 Additionally, using mantras from the Sanskrit language energises various propensities of the chakras because all sanskrit letters or sounds derive directly from the subtle sound vibrations found in the chakras. the subtler propensities of chakras are energised by using them as focus points and by using Sanskrit mantras which are vibrationally linked to harmonic frequencies within the chakras. These techniques may be learned through a qualified teacher and are available to all sincere spiritual seekers. They are just as effective today as they were when developed thousands of years ago and are now being widely disseminated to assist in personal and planetary transformation at this critical juncture in planetary evolution.